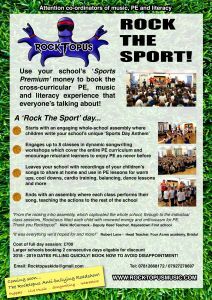 The whole school, cross curricular, sports premium funded workshop that everyone's talking about! 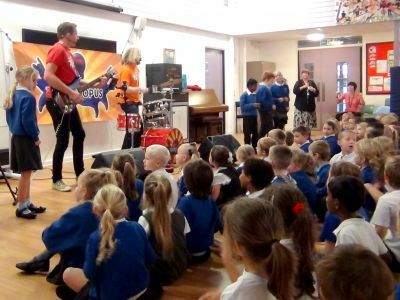 Get your whole school active using skills from the entire PE curriculum to create ‘active rock songs’ with a professional rock band! Children perform their songs in an exciting whole school assembly at the end of the day, teaching the exercises and words to the rest of the school. The school receives their own CD of the songs written on the day to use as powerful and effective warm ups, cool downs, and activities for future PE lessons. 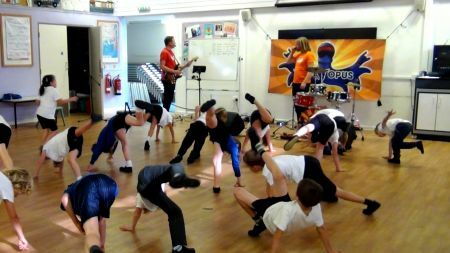 It's PE, music and literacy combined like you've never seen before! 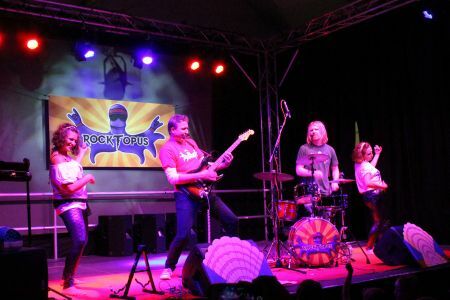 “From the rocking intro assembly, which captivated the whole school, through to the individual class sessions, Rocktopus filled each child with renewed energy and enthusiasm for PE and exercise. The songs created by each class will be a part of our school forever and will not only help the children warm up for PE but also fill our classrooms with song. Thank you Rocktopus! “The Children (and staff) had such a fabulous day. We are really looking forward to using our music in PE lessons. What a great way to inspire children of all ages! Robert Lane - Head teacher, Four Acres Academy, Bristol. The workshop day costs £700. The workshops abide by the D of E Sports Premium Grant conditions meaning you can use your sports funding. We are prepared to travel up 3 hours from Frome (BA11). Travel costs and expenses will be added to the cost.